Making your own dog food | House Unseen. Life Unscripted. Ever since I told you about wanting to make our own dog food, hundreds of you have been losing sleep over our predicament. Sending me letters of hope and encouragement and trepidation. Setting up shrines in our dogs' honor. Not really. In fact, most of you have probably forgotten about our plight-n-plan altogether. You know it's true! As you know (or rather, don't), it's been 8 days since I sent out that first cry for help. We got lots of good advice and feedback. I stared at the dwindling supply of kibble. We got more good advice. The supply of kibble got even lower. Then on Thursday, with not even a meal's worth of dry dog food in the house and probably even less human food, I realized I needed to 1) go to the dang grocery store and 2) make a decision, like, now. In this scenario, as with most of our important decisions, someone shrugged and said "Let's just do it" and then the other one said "Okay, yeah...we should just do it". And then we did a lot of shrugging and nodding together. And then maybe a high-five to seal the deal. And thus the decision was made that we will now be preparing homemade dog food for our spoiled rotten adorable pups. Soon they will also learn how to work the remotes and flush toilets. I hope. Now before you jump on the bandwagon of home dog food making, particularly if you plan to use the "recipe" I'm about to share with you, please carefully assess your genetic predisposition to gagging at the sight of disgusting things. Because this 'food' bears an uncanny resemblance to pre-digested edible things that might exit a person when he or she is ill. Mmmmmm, yummers! 1. Decide on proportions of meat to grain to vegetables to dairy. 7. Toss a bucket of plain yogurt, some eggs, and a bulk bag of rice into your cart. 8. No, don't actually toss them! Tossing eggs is hardly ever a good idea. 9. Cook various ingredients in some order (this part is hazy for me because Tommy did all the actual work) and mix them in a big bowl (or some other vessel. Use your imagination.) in the following ratio: 1/3 meat, 1/3 grain (rice or oats), 1/6 vegetables, 1/6 plain yogurt. Voila! Batch of dog food. We used plastic grocery bags to divide the food up into individual meal sized portions and tossed them (again, not really tossing. More like "placing".) into the freezer. So far, we have been feeding each dog a little more than a cup of food at breakfast and then another serving of the same size at dinner. The first couple of feedings had some kibble mixed in to help their guts transition (I don't even know if that's a real thing. I'm clearly so prepared! ), but now we are totally out of kibble and they had an all-homemade breakfast this morning, complete with a special treat of (brace yourselves): a raw egg and its crushed up shell on top of their mound of slop. But let me just tell you that the volume and quantity of their turds (add that to your turd tally, whoever's keeping track) has decreased dramatically in the last couple of days. If I were even more inappropriate, I would take an actual photo of them. Yes, they are that amazing. For 40-50 lb dogs to have little kitty sized pooplets is truly something to celebrate! So they're happy, I'm happy, and my bank account is happy. Isn't that, like, the trifecta of world peace? But what if all their poop is getting backed up inside them? "There she blows...!" in time? Well done, you actually did it!! I heard if you feed them calcium, their poop will be less messy? But don't take my word on it, what do I know? Have a great weekend! I've been wanting to attempt some sort of homemade dogfood. When switching, you do have to mix old and new for a while or it could make your dog pretty sick. It's a little strange actually. I followed the BARF and RawFAB diet patterns for feeding my dogs and it was an interesting experience. Talk about healthy dogs and really healthy teeth! We went to the butcher shops and asked about pricing for bulk ordering chicken backs and other things. Thawing the frozen crates of meat to break them up and re-freeze them was, interesting to say the least, but we did it. The veggie portions were blended into a liquid and drizzeled over leftovers--the dogs scarfed that down too. Have fun, it was a great way to feed. awesome!! I had a cat that peed everywhere, so I understand how stressful it can be to be cleaning up after an animal....especially when you are already cleaning up after small humans all day! I once pet sat for a lady who made a soup much like chicken noodle for her dogs to eat. she was nuts. So impressed! I am still not over the fact that you don't have a dryer and NOW THIS! Your recipe is hilarious! I'm impressed you went through with it, but really this is pretty low on the scale of impressive things you've done! ;) Keep us posted - I'm curious how the results ($, time, poop quantity) look about a month or so. Wow, to think that you’re doing this by choice—nice job! My daughter has a dog that we feed cottage cheese, cooked egg whites, rice, and a dash of salt. She has a digestive condition and nearly died. She’s been doing well on this diet for almost two years. I don’t think we’d ever undertake cooking for the dogs unless it was a necessity. Kudos to you! Thanks, Holly! We are professional "do what we probably don't need to doers". If only we could also do the things we're SUPPOSED to do! OK, so you've intrigued me. #1. Could you or Tommy explain a little more about how you came up with your ratio and the cooking process? #2. Do you feed the portions to your dog frozen or do you thaw them? #4. Aren't hairy husbands awesome? Mine is of Welsh heritage and he is as hairy as a Hobbit! For #3, I meant did you have any indications prior to making the switch? I was never a dog owner so when we decided to get one, I couldn't get over the amount of gas, poop, and doggie breath. So I started researching diets and found the raw diets...we've been following this for over 5 years. We feed our dogs mainly raw chicken leg quarters (sold at our Wegmans for $.49 lb). We add no veggies or grains. One is a black lab/hound mix and the other a Jack Russel/hound mix. 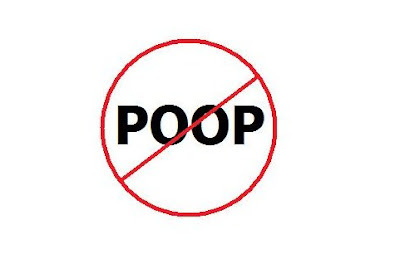 Poop is minimal and it dissolves over about a week. No doggie smell or bad breath! You have me cracking up! I certainly hope this is the magic key for you and these adorable pups! Thank you for pioneering on this messy, disgusting, and yet completely worthwhile mission!!! What a truly good human you are. You have three very lucky fuzzees! And it's probably less gross for you to mix up gross food, than to pick up huge wads of gross turd. Take it from a fellow turd-gatherer (you don't hear that too often!) We like our dogs to be an average of 130 pounds or so, at least. :) You do the math. You did it! Every time that I make something instead of buying it, I get this sense of 'stickin' it to the man - I don't need your *insert product here*'. It's wonderful to be self-sufficient. Totally gave you a shout-out on my baby blog today, mostly 'cuz dog poop is funny! You're wonderful. Wow, you actually did it!!! I admit, when I read that post, I thought, "She'll cave and get the dry food again." And you didn't!!! I am really, really proud to know you. I'm not even being sarcastic. If I had dogs, I would ... well, probably still get the dry food, at least until your dogs have had nice, tidy little poops for a month. Hmm ... nice, tidy little poops ... do you think Audrey could eat this food??? @Cambria Laine: I would like to know where you got your laundry detergent recipe because I would definitely like to hop on that train. I can't believe you didn't take a picture of the poop! Second of all, I have a FANTASTIC recipe for dog food, but I don't have a dog. Wait for it.....YES, we eat the dog food recipe AND my kids LOVE IT! Add grains and broth to pan, season with nutmeg. Cook until it bubbles. Add crumbled turkey Cook until liquid is absorbed (about 20 mins) Stir in pumpkin puree. Add salt if necessary. Sounds like an interesting idea, but I'm not sure that I would be able to stomach making it. I'm picky enough with my own food! Found you through Comment Love on FLOB. Have a great Sunday! Shouldn't big dogs have big poop? I'm concerned. You're Rachel Ray! She makes her dog's food too. I think she does a few other things too. Do you possibly have a talk show? @Mitzi I got it on the Duggars family website (yes the 19 kids). I do have to shake it before each load, as its got a snot consistency otherwise lol. Its the liquid recipe. I hear there is an extra ingredient I can add to avoid this shaking but I forgot where I stored that important info so I shake daily! I can hear my aunt & uncle on their farm in Iowa laughing their heads off. They've had doges since they were married 60 years ago. They raised 11 kids & never bought a bag of dogfood. They always assure me that dogs do fine on table scraps & milk & that's all they've ever used. I tell them I have 2 greyhounds who have never considered themselves 'dogs' technically & so could never live on tablescapes & milk...but I can still hear my uncle & aunt laughing. Workinf on home made food is great but it is even good option to Buy Dog Food Online, this is safest way to get best food.